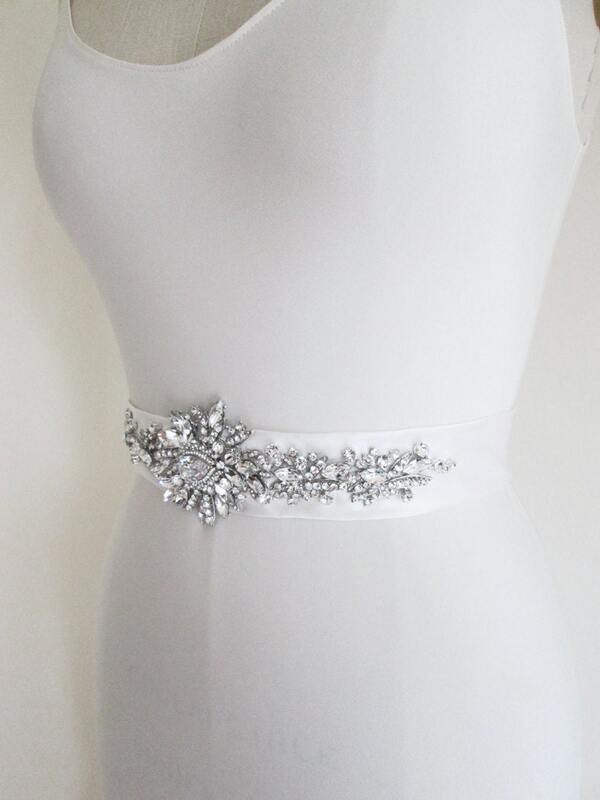 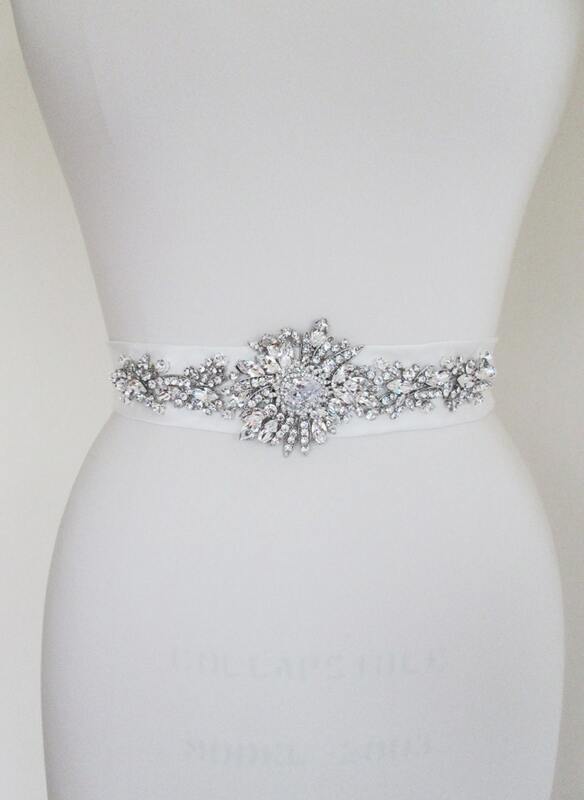 This statement bridal belt is hand made out of duchess silk satin and is appliqued with arrangement of top quality Austrian crystals. 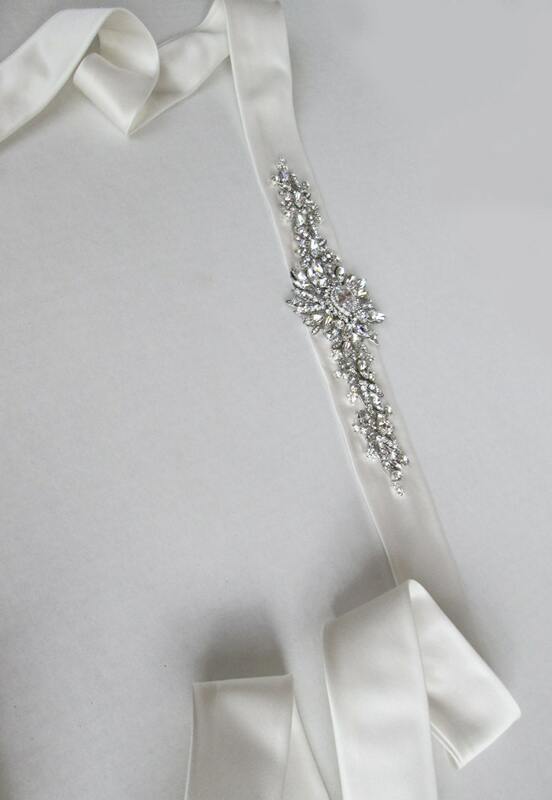 The sash measures 120" long and 1 1/2" wide. 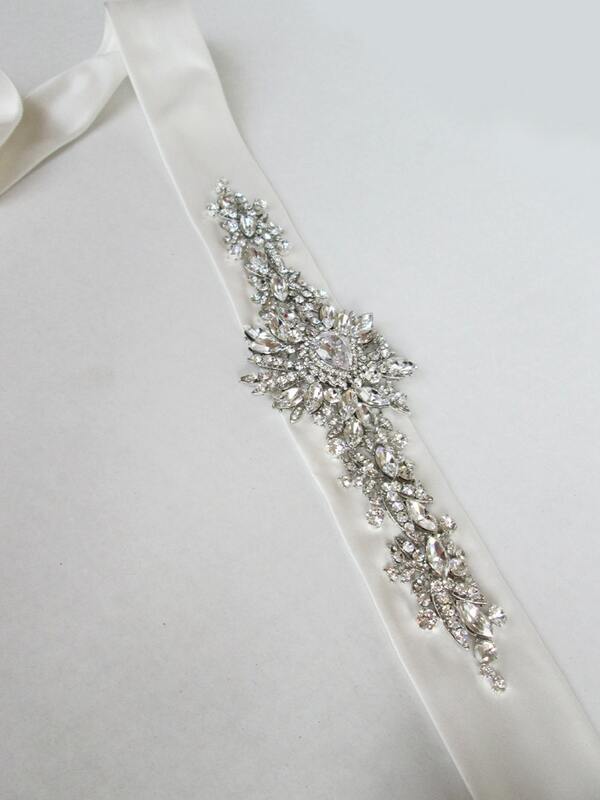 The crystal beading measures 10" long and 2" wide at the center. 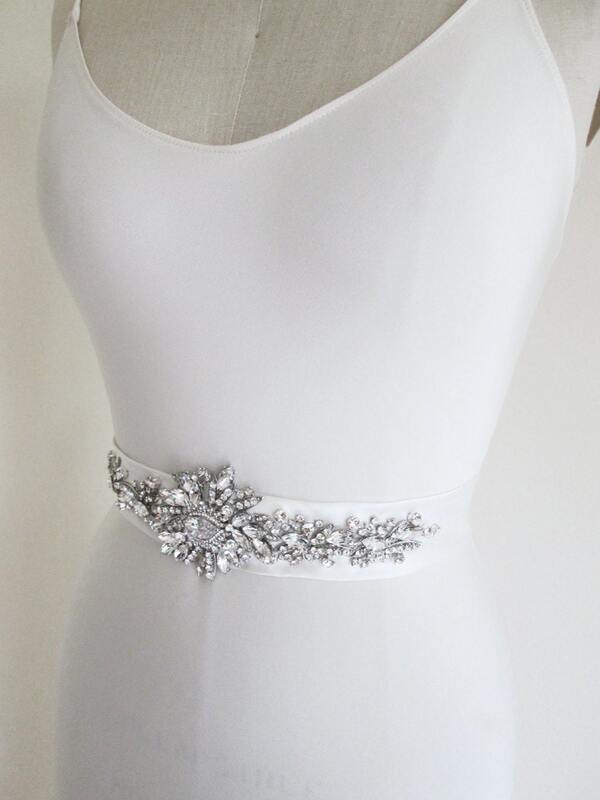 Available in white, diamond white, ivory, dark ivory, black, silver, platinum/taupe and champagne.